Quantum mechanics incorporates some very non-intuitive properties of matter. Quantum superposition, for example, allows an atom to be simultaneously in two different states with its spin axis pointed both up and down, or combinations in between. A computer that uses quantum mechanical manipulation of atoms or particles therefore has many more possible options than a conventional one that works with "zeros" and "ones" and has only two choices, called bits. A quantum computer's memory uses instead what are called quantum bits - qubits - and each qubit can be in a superposition of these two states. 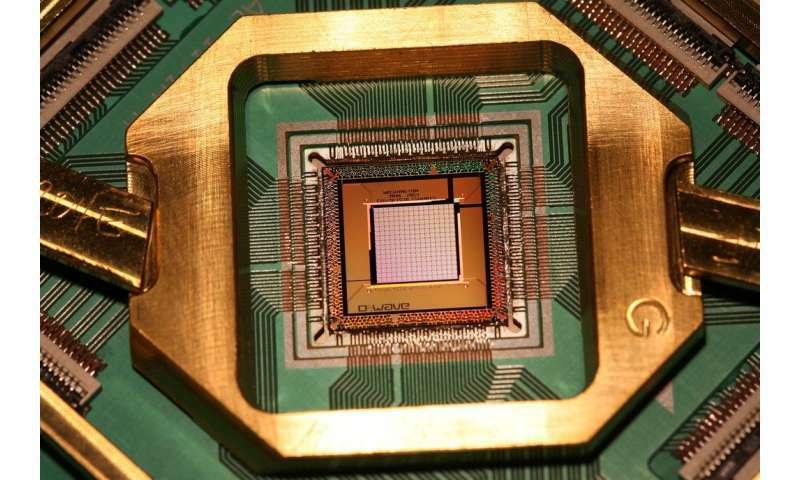 As a result, theoretical physicists estimate a quantum computer with only about one hundred of these qubits could in principle exceed the computing power of the powerful current classical computers. Building a quantum computer is therefore one of the main technological goals in modern physics and astrophysics. CfA physicist Hannes Pichler, of the CfA's Institute for Theoretical Atomic, Molecular and Optical Physics (ITAMP), and three colleagues have proposed a new way to build a quantum computer using just a single atom. Light quanta (photons) can be used as information carriers and act as qubits, but to use them in a quantum computer they must interact with each other. Under normal conditions, however, light does not interact with itself and so the challenge is to create correlations between them. The key idea of their new paper is to allow light photons from an atom to interact with their own mirror image reflections. Photons that the atom emits are reflected by the mirror and can interact again with the atom but with a very slight time delay. That delay, the scientists show, results in the combined waveform of the photons being so complex that in principle any quantum computation can be achieved by simply measuring the emitted photons.